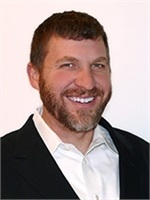 Michael E. Schwartz, CPA has over fifteen years extensive experience with limited liability companies, S corporations, limited partnerships, C corporations, nonprofit organizations and individual taxation. As a sole practitioner, he provides a holistic and personalized approach to a myriad of complex tax issues. The range of business tax services are available for individuals, family offices and private companies, and encompasses tax planning, tax compliance, controversy and risk management, and tax management consulting in an array of industries including real estate, dental, management services, construction and manufacturing. Michael can be reached at [email protected] and 410-615-1691.